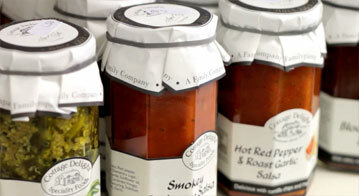 The Calveley Mill shop and café is situated at our base in Calveley Mill, Cheshire. 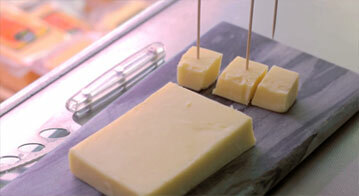 The idea for a shop came about when we realised there was high demand for our cheese locally. It has developed from there and as well as selling cheese we now operate a shop which sells a wide range of food and household essentials as well as treats and gifts. The café serves delicious freshly prepared food, often made with locally sourced ingredients. From a full English breakfast to mid-morning coffee, a take away lunch to sit down hot meal followed by one of our delicious puddings the food is always prepared to order and of the highest quality. We also have a licence so the cafe is the perfect spot to enjoy a chilled glass of wine, beer or try one of our collection of real ales. 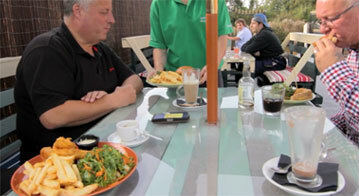 Our outdoor seating area with view of the canal has become popular with walkers and canal boaters alike. Cheese samples are always available in the shop so if you find it difficult to decide you can always try before you make your decision. Drop by for your everyday essentials, artisan local products, gifs for any occasion or to pick up a freshly made sandwich and hot drink to take away. With the culinary skills of our Calveley Mill café gaining tremendous praise over the years, we have now expanded into catering for corporate and business events across Cheshire. Do you have an upcoming event that you would like Calveley Mill to cater?